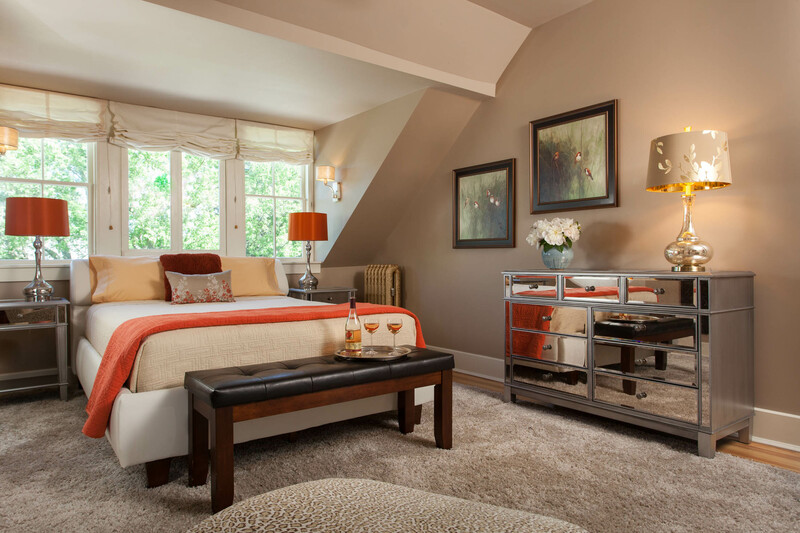 The second-floor Pinot Suite includes a cozy queen bed, orange, white and silver tones create a vibrant and powerful feel. 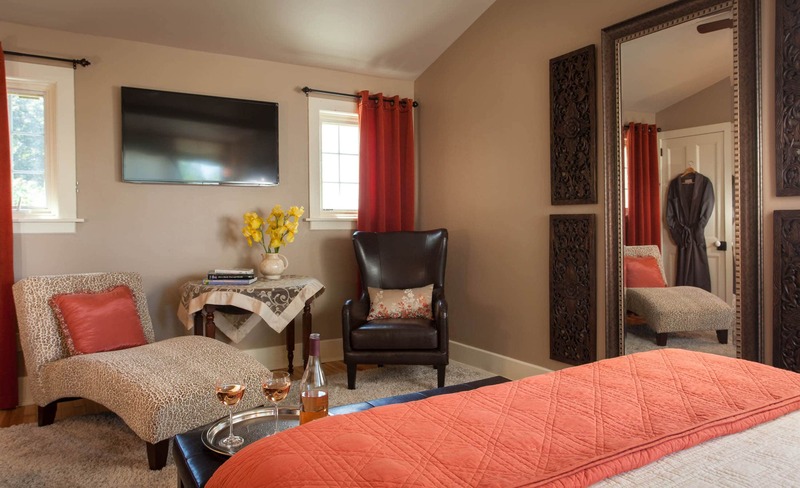 A spacious room that is perfect for spreading out and enjoying your vacation. 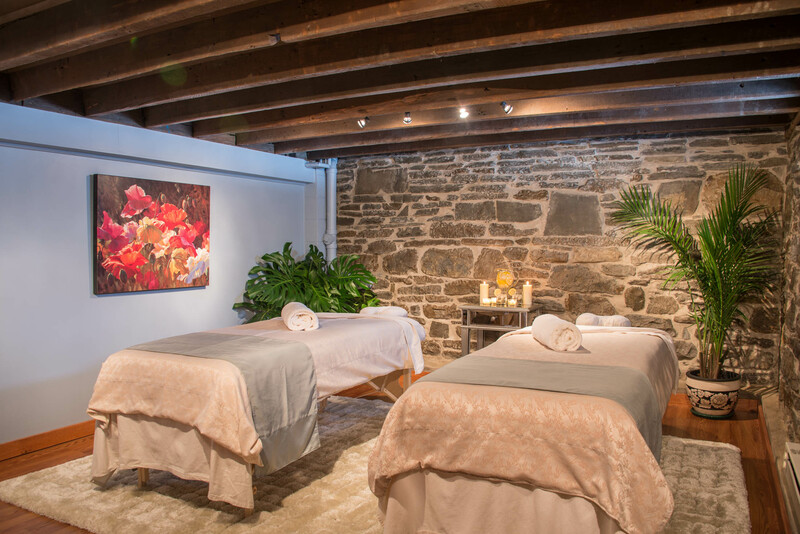 The wall of windows above the bed offers a beautiful view of gardens, the Potter house, slate terrace and the 165-year-old maple tree. 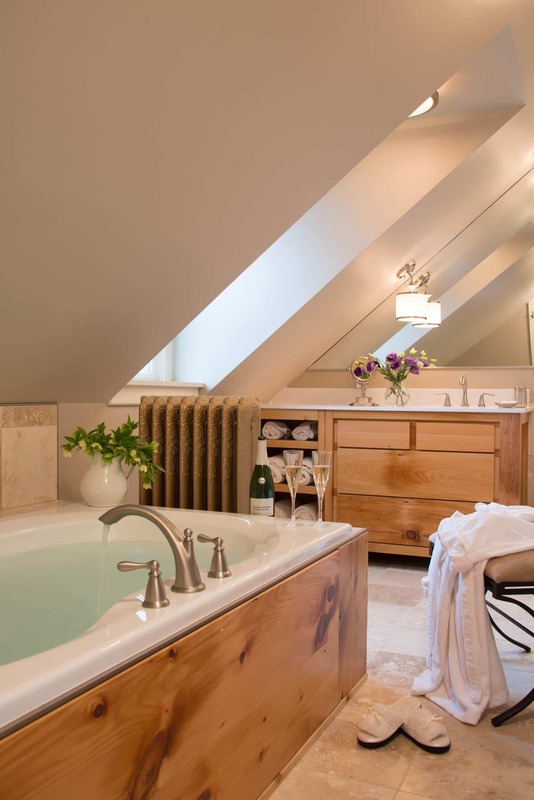 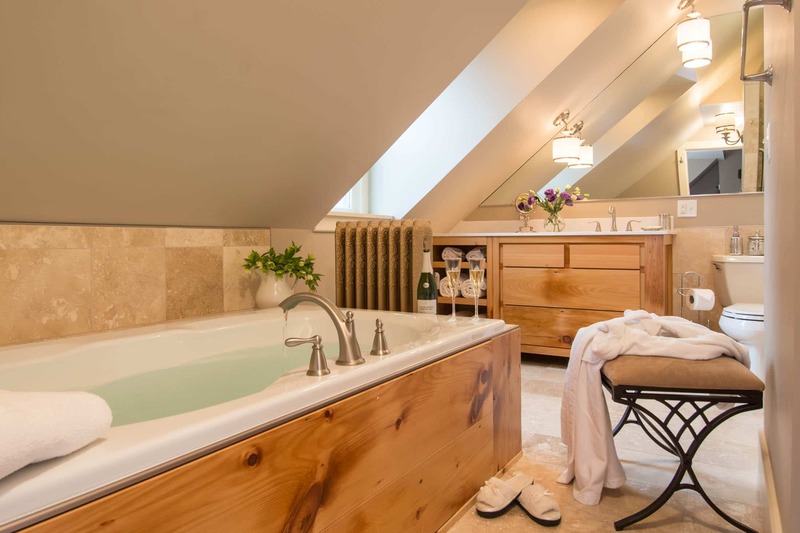 The bathroom is outfitted with a large vanity and Jacuzzi tub surrounded in custom made old growth pine boards that were saved during renovations. 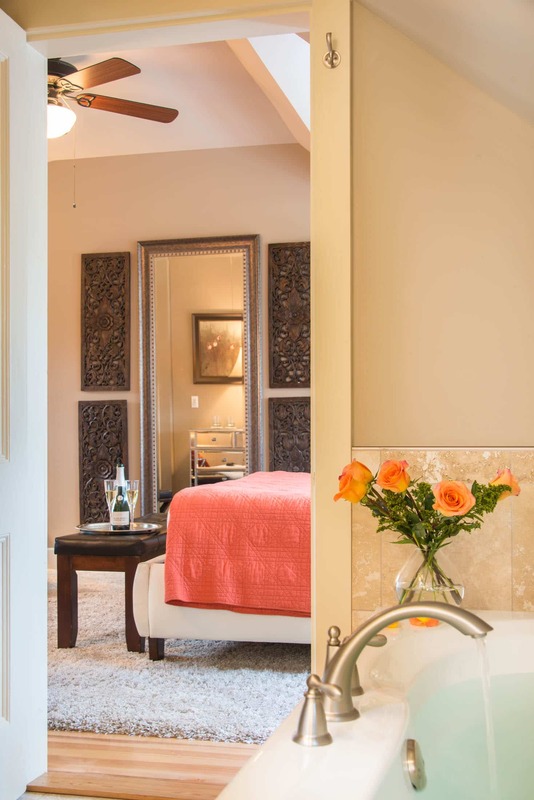 The bathroom is tiled with travertine stone including the 10-foot tall curved wall spanning the room. 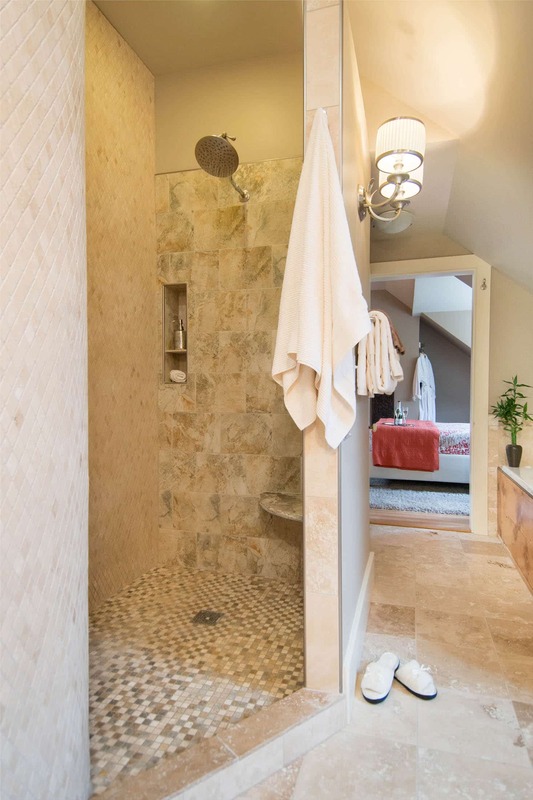 The custom large shower with a stone bench incorporates the curved wall in the entrance. 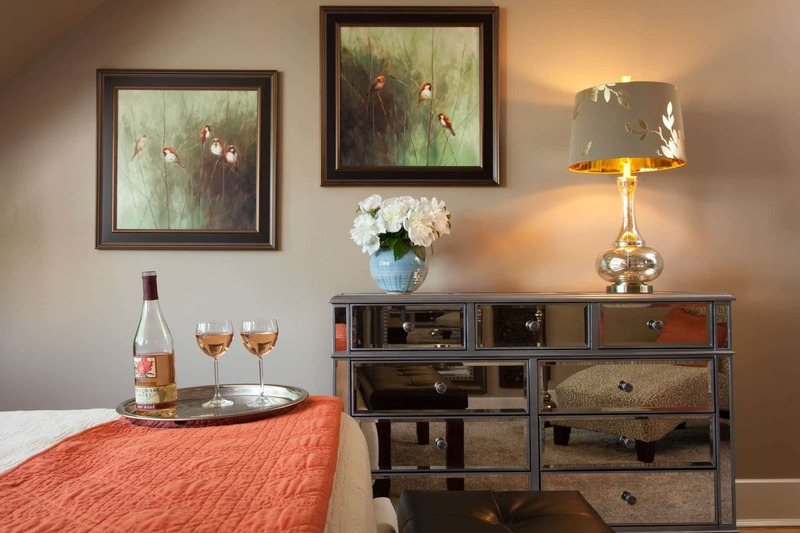  All rooms include free WiFi, AC, bathrobes, ceiling fans, fine linens, speakers for your electronic devices.